“Most People Blowing a Vuvuzela” could only be held by a South African. 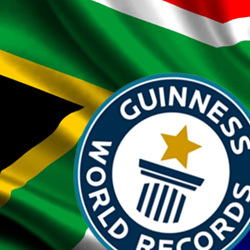 And it’s not too surprising that we’d break a surfing record (Most Surfers Riding One Wave),” said Springbok Casino manager Daniel van Wyck. Apparently, bandanas are all the craze in South Africa, since it holds the world record for the “Most Dogs Wearing Bandannas in One Place”. The Ghost Ship slot game can be played on desktop and laptop computers as well as smartphones and tablets (free Android App).